Where can you buy Hatchimals Glittering Garden Sparkly Penguala and Shimmering Draggles in the UK? Don't waste your time searching for Sparkly Penguala, Shimmering Draggles and Twinkling Owlicorn Glittering Garden Hatchimals, the newest 2017 Hatchimal eggs. 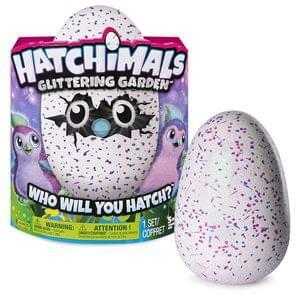 Latest Deals’ Hatchimals Stock Checker automatically searches for Hatchimals Glittering Garden UK stock for you at the UK’s major retailers, checking every few seconds 24/7. Sign up to our free email stock alerts and beat the rush.